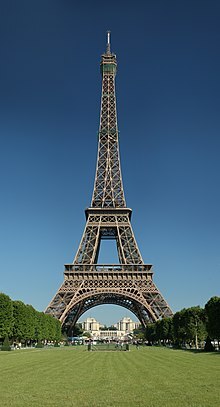 The Eiffel Touer in Paris, Fraunce. A touer is a taw structur, uisually tawer than it is wide, eften bi a signeeficant margin. Touers are distinguished frae masts bi thair lack o guy-wires. Touers are generally biggit tae takeadvantage o thair hicht, an can staund alane on the grund, or as pairt o a lairger structur or device such as a fortified biggin or as an integral pairt o a bridge. This page wis last eeditit on 1 Januar 2014, at 00:03.